← Soon to be home owners! I try and drive by the house every time I come home from something. This includes bugging my friends to drive past the house also. 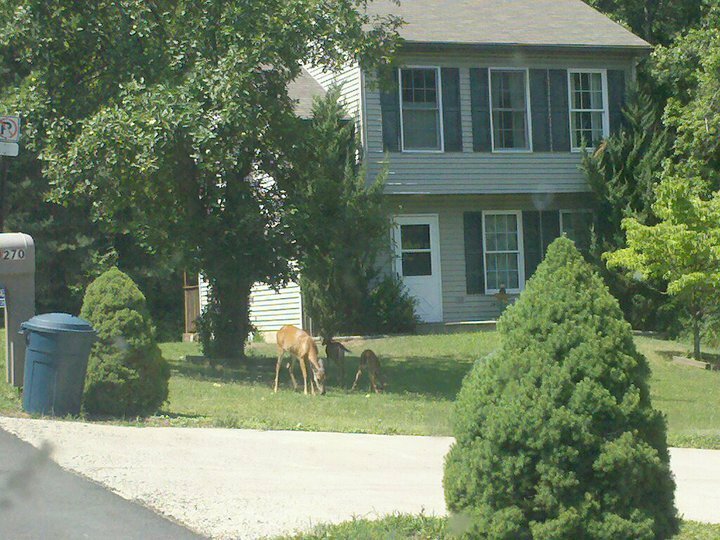 One time we found these cute little ones eating from the apple tree. How cute! Charlie will love to chase them! I also hear that we have a neighborhood bear and fox!